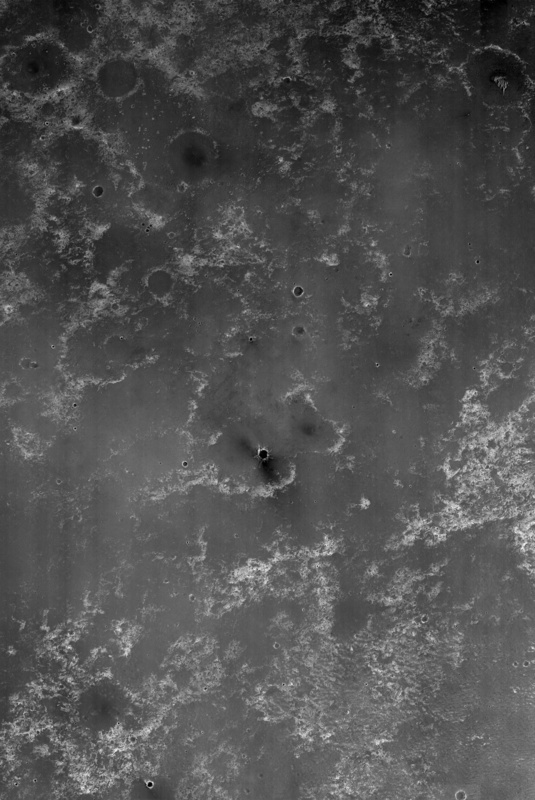 HiRISE acquired this color image of Santa Maria Crater, with the Opportunity rover perched on the southeast rim. Rover tracks are clearly visible to the east. Opportunity has been studying this relatively fresh 90 meter diameter crater to better understand how crater excavation occurred during the impact and how it has been modified by weathering and erosion since. 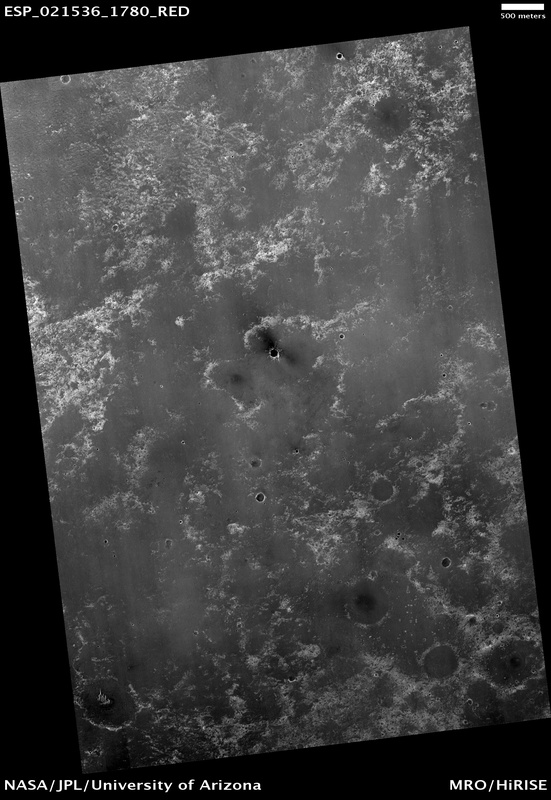 Note the surrounding bright blocks and rays of ejecta. 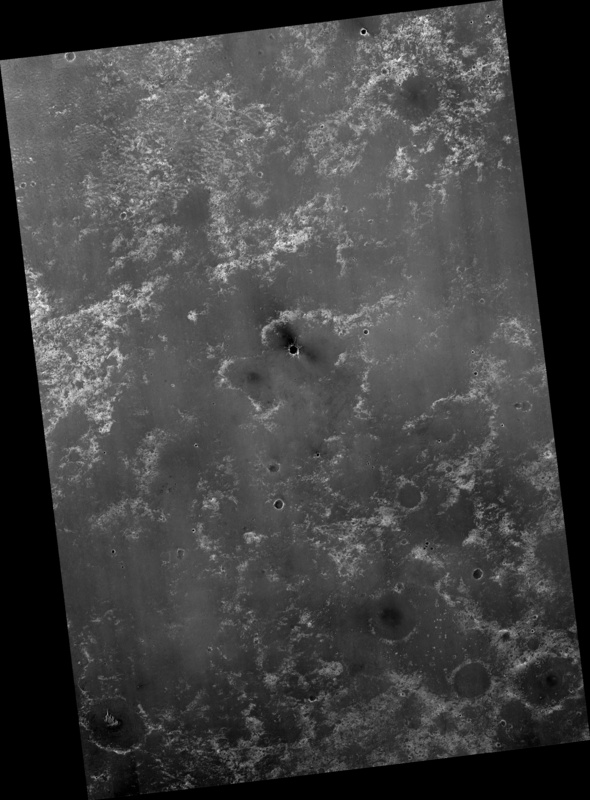 Spectral information from CRISM indicates a hydrated sulfate at this location. 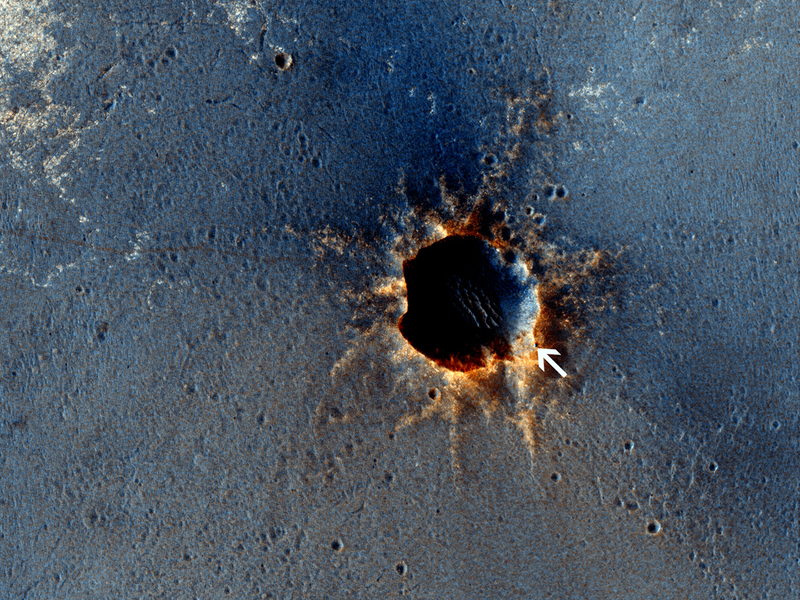 Opportunity is about 6 kilometers from the rim of Endeavour Crater, which CRISM indicates both hydrated sulfates as well as phyllosilicates that formed in a wetter past.